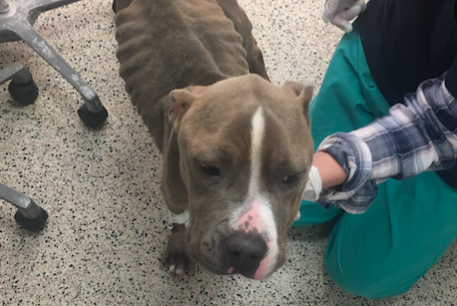 The Pennsylvania SPCA is seeking the public's help finding the person or persons who dumped a dog in emaciated condition in a trash bag in Wissahickon Valley Park. 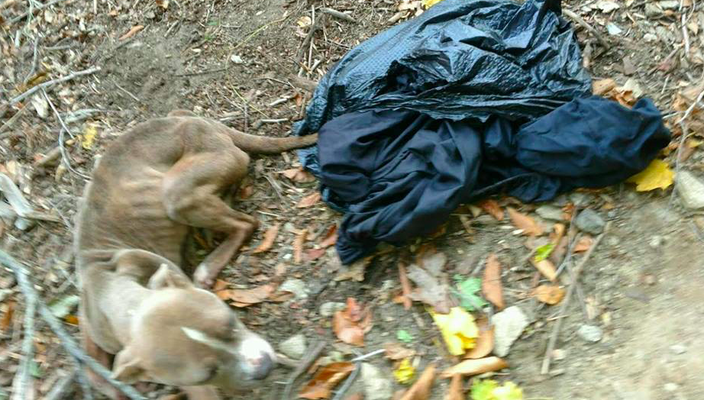 The Pennsylvania SPCA is seeking the public's help finding the person or persons responsible for dumping a live dog in a trash bag at Wissahickon Valley Park in Northwest Philadelphia. A good Samaritan reportedly came across the dog, whose head was sticking out of the trash bag, while taking a walk in the park on Tuesday morning. As the photos show, the dog was found in emaciated condition and left to die. This photo shows Cranberry's condition when found. The dog, who has been named Cranberry because of the upcoming Thanksgiving holiday, is now being cared for by the PSPCA’s Shelter Hospital staff. Anyone with information is asked to contact the PSPCA at 866-601-7722.